Doha, Qatar, 17, October 2018: October is the most eagerly anticipated month in Qatar, giving locals and expats a reason to come together, participate, revel and enjoy a number of other colorful events in this lively Doha city. To celebrate the pleasant October weather, AURA Hospitality & Food Services, a leading player in hospitality, entertainment sectors in Qatar, has curated an array of activities full of action and entertainment. Since its inception in 2012, AURA Hospitality & Food Services has grown to become one of the foremost names in Qatar’s fast-growing, entertainment and hospitality sector. 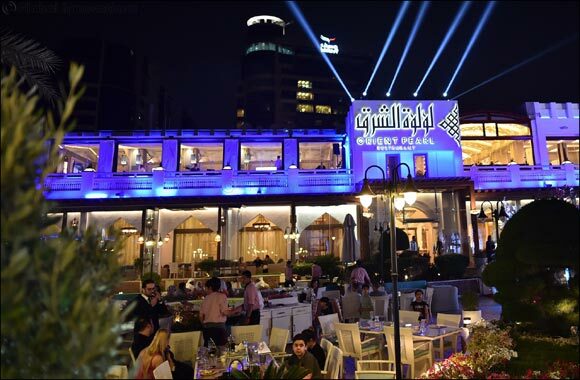 The group currently owns and manages 37 outlet F&B and Entertainment outlets, including the hugely popular Orient Pearl and Smat, La Casa Twenty Eight, Debs W Remman, Baladna and Remman Caf� - at the Medina Centrale, The Pearl, Qatar and Mall of Qatar among others. Kicking off the festivity on October 18 & 19, Debs w Remman has carefully devised an exciting event featuring a live performance by Lebanon’s Hadi wel Chabibeh Band and the Vio Cello Girls with a delectable menu from the celebrated TV personality, Chef Richard Khoury. The open air event will be hosted in the picturesque Medina Centrale in the Pearl Qatar around the fountain area facing Debs w Remman. With a specially set stage for this one off event, guests are sure to enjoy a unique night of unforgettable food and entertainment under the stars while making the most of Qatar’s pleasant October weather. If this was not enough, on Thursday, October 25 2018, fans and guests can watch in wonder renowned singer Noor El-Zein perform live at the Orient Pearl Restaurant situated at the Corniche of Doha. El-Zein’s songs have been so popular in recent years that they have gathered hundreds of millions of views on YouTube. One duet featuring El-Zein, has gathered 256 million views since its upload in 2015. El-Zein launched his new song 'Qafel' last May, which is popular in the region. Morover, the Orient Pearl we will present 2 more acts. A lady violinist on high base will welcome the guests while singer Rita Sleiman alongside a Santur musician will be the main entertainment during the dinner, and the whole event will be hosted by Carla Haddad. “Building upon our incredible experience of managing some of Qatar’s most popular and highly regarded dining and entertainment concepts, music fans are in for a treat with live performances from Hadi wel Chabibeh Band and Noor El-Zein, whose fan base reaches all corners of the region,” says Finian Conrad Gallagher, CEO of Aura Hospitality and Food Services. Gallagher said, “The two live concerts is an opportunity to better connect with our consumers in Doha, in light of this we will organize an event every month till the end of March at both venues. Our collection of restaurants and entertainment outlets have grown to become a popular addition to the city’s leisure offering.